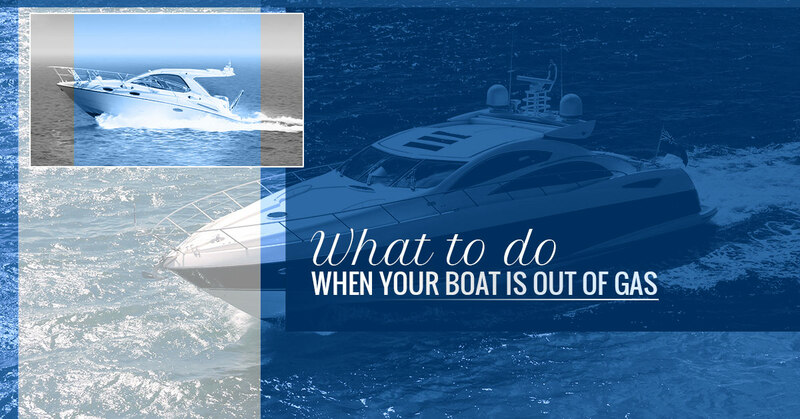 Do You Know What To Do When Your Boat Is Out Of Gas? When you decide to leave for a big road trip, don’t you always stop to get gas first? Well, it’s the same thing when you’re going out on the lake in a speed boat or a pontoon boat. You need to make sure your gas tank is full and ready for your day out on Lake Lanier. At Freedom Boat Club, our employees double check the engines before you take them out, but it’s always good to do it yourself as well. You don’t want to get stuck on a boat in the middle of a lake without gas, right? Before you leave the dock, the last thing you should do is make sure you have enough fuel for whatever you and your family or friends are doing for the day. When you run out of gas, it can be nerve-wracking and scary if you don’t know what to do. When you take one of our many speed boats or pontoon boats out onto Lake Lanier, we can assist you with any concerns you may have about the boat you’re taking out. We have a variety of speed boats and pontoon boats that are in excellent condition and just waiting to be taken out onto Lake Lanier. When you join our boating club, you’re able to take advantage of the many benefits we have to offer, such as access to all Freedom Boat Clubs nationwide and the ability to take out any boat you want for the day. Contact us today to become a member at Freedom Boat Club. If you do find yourself on Lake Lanier without any gas, these steps will help you deal with your situation. It can be scary to be stuck on a lake, ocean, river, or the sea, with only your family or friends on the boat with you. Many experienced boaters find themselves stranded, so don’t think you’re the only one. Despite the fear you feel and the worst case scenarios flowing through your head, don’t worry; you won’t be stuck on the water forever. Running out of gas is one of the many reasons people are stranded; it’s the most common way to get stranded. Usually, the simplest things are always the most forgotten. When you follow these fives steps, you’ll feel much more at ease in your situation and able to contend with any situation that is thrown at you. When you notice you are out of gas, the very first thing you need to do is shut out those worst case scenarios that are flicking through your brain and concentrate on what you can control; eliminating the panic and figuring a way out of your current situation. Don’t panic, whatever you do. Especially, if there are small children on your boat. When you panic in an emergency on a boat, you’ll make everyone uncomfortable and scared. Scaring the children on the boat or your family and friends will insight panic and could cause an even bigger emergency. When you notice the gas in the boat is non-existent, take a deep breath and clear your mind, so you can rationally figure a way out of your situation. Once you’ve cleared your mind of any negativity and panic, concentrate on what you do have on your boat. We live in the 21st century, so most of us have cell phones to contact someone. You should always bring at least one cell phone on the boat with you, even if you’re trying to have a weekend void of technology. For your own safety and the safety of the others onboard, there should be at least one cell phone. With the cell phone, call Freedom Boat Club at (770) 831-6082 for the office. If there is no cell phone onboard, check to see if there is a VHF radio, and radio the office. We’ll be able to come out and help you as soon as possible. Once you’ve called for help, set your anchor so you don’t drift toward rocks, shallow water, or any other potentially damaging areas. You should also set the anchor so you don’t float out further as well. If you’ve radioed or called someone, you want to make sure they’re able to find you, and if you don’t set the anchor down you’ll float further from where you told rescue you would be. Also, it’s best to stay put when you’re lost; someone is bound to come across you whether it’s the rescue sent out for you or another passing boat. On Lake Lanier, there are many speed boats and pontoon boats that populate the water. If you don’t have a cell phone, you’ll be able to flag down one of the many boaters in the area for help. Take in your surroundings. Everything might look the same, but if you take in the little details, you’ll notice the sun changing position, strange looking rocks or trees, water-lilies, a family of ducks, anything that stands out to you, make sure to make a mental note about it. Take note of any and all of the landmarks to help you figure out where you are or at least tell the rescue team where you are or to help you stay away from potentially dangerous areas. For instance, if you notice sharp rocks on the edge of the shallow waters, keep that in mind as you float on the water. Make sure to observe your surroundings to give rescue a proper location and to assess potential danger. Regardless if it’s a cloudy day or a sunny one, make sure you and your family or friends put on sunscreen and drink lots of water. Before you left, you should’ve made sure you had sunscreen, water, and food in case of emergencies. If you went out on the water on a cooler day, make sure to pack blankets and sweaters in case an emergency situation arises. Reapply sunscreen if it’s been some time, and drink water to stave off heat exhaustion and dehydration. Eat some food to keep everyone calm. If it’s particularly hot, dip some pieces of fabric in the lake and cool your face and body down with the wet pieces. In addition, make sure everyone is wearing their life jackets and is staying as hydrated and safe as possible. If you find yourself without gas on your speed boat or pontoon boat, remember that help is on the way and to stay as safe as possible while you wait. Join Freedom Boat Club today for a great price and impressive benefits.